When Venture Electronics announced the new Zen earbuds there were two products that took advantage of the new, leaner shells: the Zen Lite and the Zen LL. They are identical, at least in terms of physical aspect, but they’re rather different in terms of sound. On top of having a unique signature, which is maybe the warmest in VE’s line-up, what makes the Venture Electronics Zen LL special is the fact that they are not on sale. The only way of getting a pair is buying either an amplifier or a Zen 2.0 from VE. Disclaimer: the Zen LL is a freebie included with the purchase of any amplifier or Zen 2.0 from Venture Electronics (see here for an example). Lee sent me a pair so that I could try them when I bought the Venture Electronics RunAbout 2.0bl. I received the Venture Electronics Zen LL in a plastic bag and I guess that’s how they are shipped to customers, too (as Lee often sends me products not in the usual packaging). There is very little to be said about the Venture Electronics Zen LL that I did not already write in the Venture Electronics Monk Lite review – as they use the same shell, they are indeed identical in most aspects. 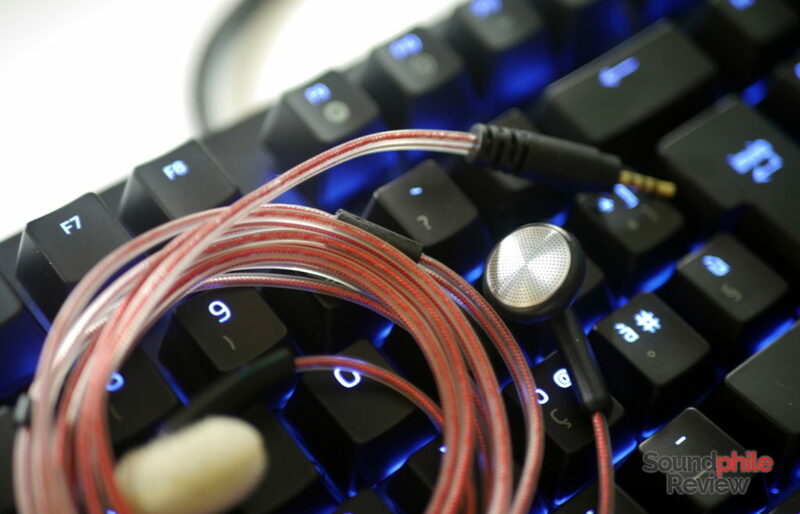 The only notable difference is the cable, which is the same as the Venture Electronics Zen 2.0 Omega Edition and Venture Electronics Zen Lite: it’s red and a bit stiff, just like the SPC cables by VE, and its only glaring issue is microphonics. As I got the Venture Electronics Zen LL with a balanced 2.5 mm jack, I mainly used them with equipment that could take advantage of that. Therefore I used them with a Topping DX7 (using a XLR4 to 2.5 mm adapter), a Venture Electronics RunAbout 2.0bl fed by a Topping D30 and a Cayin N5ii. Source files were FLACs, mostly standard resolution, and 100 hours of break-in were applied. Venture Electronics did not declare much in terms of specifications, but Lee confirmed to me that the Zen LL is meant to be used with portable amplifiers and DAPs with limited power and they were made with a 150 Ω impedance due to this target usage. As a side note, I think they improve significantly if used with a tube amplifier – I tested them with the Little Dot MKIII SE and APPJ PA1502A and found them to improve significantly in terms of tonality and soundstage (especially with the Little Dot which makes them a little brighter with stock tubes). Despite being open, the Venture Electronics Zen LL do not offer an expansive soundstage and sound quite intimate instead – they sound almost like IEMs. Luckily imaging comes to the rescue with a good ability to place instruments in space. Instrument separation is also good, but nowhere near the other high-end earbuds by VE: busy situations, such as Bill Laurance’s Swift, suffer from a bit of mash-up. The Zen LL are very warm, up to the point they sound almost congested. Upper midrange being a tiny bit recessed and treble being not really extended are behind this effect, together with mid-bass being heavily emphasised. The emphasis is especially notable if you use the foam covers, but the difference from using the earbuds without foams is not night-and-day and is instead just a slight bump (which also makes bass extend a bit lower as a side effect). Bass is especially present on the Venture Electronics Zen LL, and it is mostly concentrated in the mid-bass area with the sub-bass region that is barely present. There’s a steep growth between 40 Hz, where there’s barely enough volume to hear anything, and 60 Hz, where bass is loud enough to be clearly heard. Mid-bass is often a bit overly aggressive and ends up leaking over the lower mids, introducing a somewhat dark appearance in the signature. To counterbalance quantity, however, quality is fine – this is not a pudding of bass frequencies, but rather a controlled performance that makes speed (and therefore transient response) and the ability to manage multiple lines at the same time with good ability its main features. Talking about transient response, the midrange reacts well and delivers impact that makes drums and plucked instruments especially enjoyable. They aren’t the clearest on the market, but their speed helps them deliver a good portion of details that make it rich and involving. Being it tilted towards the lower section, it is especially pleasant when listening to acoustic instruments – be them stringed instruments, guitars or pianos. Violins completely lack screeching, and there’s very low sibilance in vocal tracks. Overall the mids are laid back and easy on the ears, crafting a relaxing tonality. Treble remains a bit in the background and does not receive the emphasis it should, so it is very laid-back and easy on the ears – a treat for the treble-sensitive people out there. It is actually decently detailed, but due to its relatively poor presence it is not always easy to hear all the details portrayed as they are overpowered by the other frequencies. Extension is limited and the roll-off is rapid, so there’s not much air to let the sound breathe and open up – nor there is that sparkle that would make it sound lively. In the end, the treble section appears a bit dull and a bit of boost would be welcome. Adding just 2 dB at the 6 kHz and 12 kHz marks actually makes it much better and also makes the sound appear larger and more spacious. Venture Electronics Zen 2.0 Omega Edition: the “big brother” of the Zen LL is better in every regard – not only are they more balanced, but they are better in every single technical aspect. They are simply superior! Venture Electronics Asura 2.0s: the Asura 2.0s are definitely brighter than the Zen LL and also feature more extended treble. They’re also faster and their midrange, being much more prominent, is also better at displaying detail; treble is more present and more extended, so it counterbalances bass better. 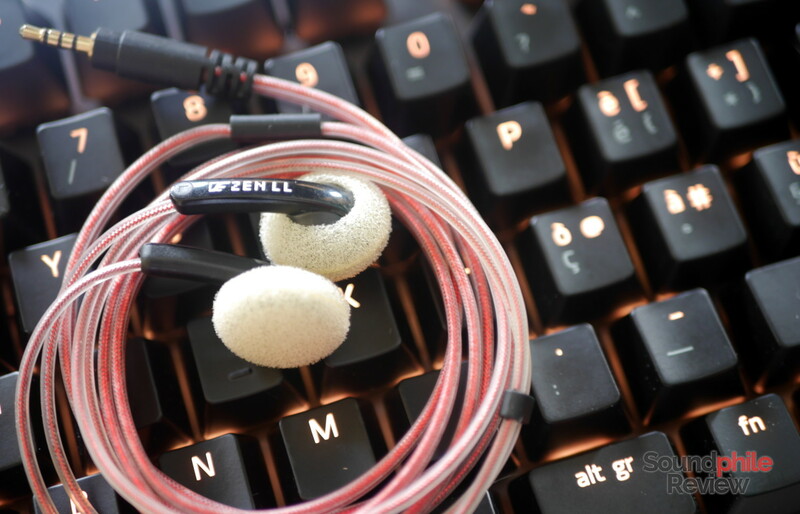 They’re almost opposite to the Zen LL: the Asura 2.0s are bright, the Zen LL are very warm. In terms of technical ability they are surely better when it comes to soundstage width and depth and to instrument separation, but they’re on par with imaging. Venture Electronics Zen Lite: the Zen Lite are a bit more balanced throughout the whole spectrum, though they are still very warm. They feature more prominent (and detailed) treble, though, and midrange is not as warm. Bass is however the real distinctive factor, as it is less emphasised and therefore it does not colour the sound as much. In terms of technical ability, the Zen Lite appears better in terms of speed and soundstage, and roughly comparable in terms of instrument separation and imaging. The warmest and easiest to drive in the Zen line-up, the Venture Electronics Zen LL are indeed earbuds one can just relax while listening to them. They are warm and sound best with acoustic instruments, but this does not mean they can’t manage a bit of electronica or rock as well. They are alas not as good on the technical side as the other entries in the Zen line-up and they’re even sometimes not on par with the Asura, but they’re still capable and enjoyable despite this. They are an experiment, after all; Venture Electronics only gives them for free with the purchase of other products and this makes it difficult to compare them to other products since there is no clear price bracket to slot them into. They are between the Asura 2.0s and the Zen Lite, which should place them around the $110 mark – a price that seems fair enough for what’s on offer. Price aside, I think they are a good product after all – though they aren’t as good as their siblings. I just got these in the mail the other day. First of all, the Zen 2.0 are pretty amazing in general. I’ve been doing a lot of comparisons between the monk and my IEMS, since I’m abroad right now. The Zen LLs were, un-foamed, sibilant and weird to my ears. Bass was nonexistant and there as something trying to perforate my eardrum. With the foamies they are like you describe, though maybe airier. I tested on the songs Violent Dreams by Crystal Castles for sub-bass, Tundra by Amber Rubarth for Imaging and Binaural quality, and then Foreground (Druyster Session) by Grizzly bear for Mid timbre. The vocal clarity is there, foam or not, but there was something off in the pianos and drums without. The Zens are, regardless, much better.